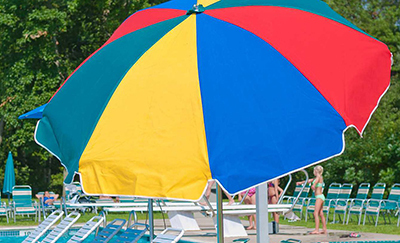 Learn more about outdoor umbrella types, materials, sizes, and features. 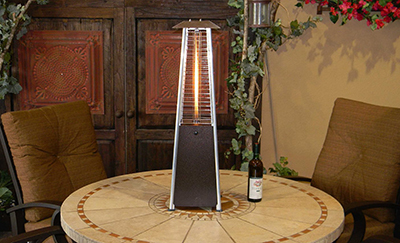 Patio heaters extend the use of your outdoor space during the cooler months of fall and winter. Learn more about furniture materials, the benefits of each material, and how to care for the material itself. Hammocks are a great outdoor lounging option. 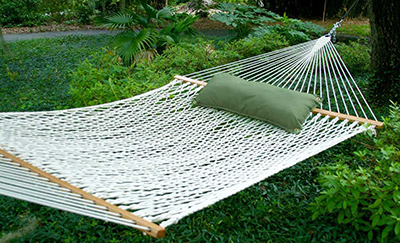 Learn more about hammock types, suspension systems, measurements, and care. 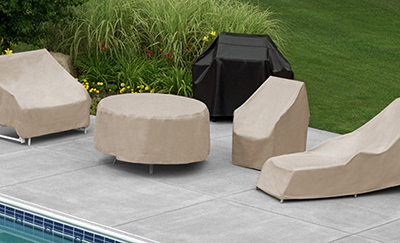 Outdoor furniture covers help preserve the integrity of your outdoor patio furniture when exposed to outdoor elements. Great for outdoor entertaining, the addition of a grill allows for authentic al fresco dining perfect for modern outdoor living. The addition of an outdoor rug to your patio brings indoor style and comfort to your patio. Each outdoor setting calls for a unique system of outdoor lighting to provide functional illumination and aesthetic enhancement to outdoor living spaces. 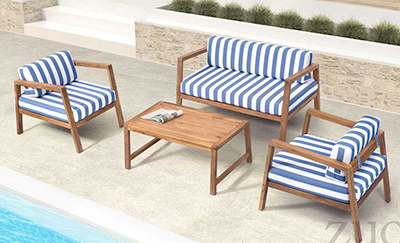 Choose the best patio furniture for your space and enjoy the great outdoors in style! 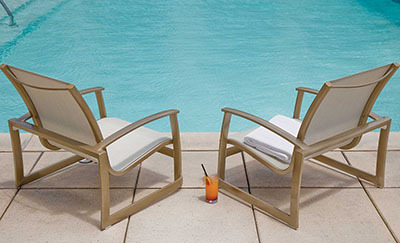 Our Patio Furniture Buying Guide breaks down all your options. Need a patio table? 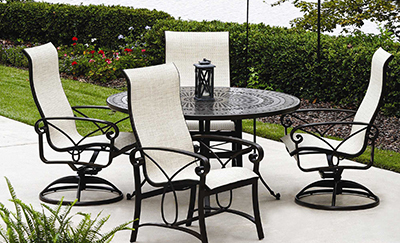 Our Patio Tables Buying Guide lists the different styles, designs, and features of patio tables, so you can easily choose the right one for your space! From dining alfresco to hosting the hottest party of the summer, your patio needs a dining table to accommodate your friends and family. Gear up for summer by creating your own poolside oasis. 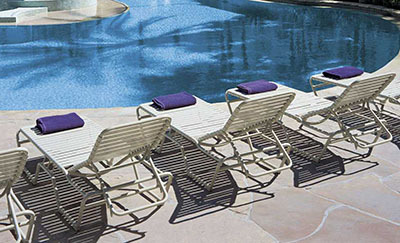 From chaise lounges to dining sets and more, your pool will be the party spot of the summer! 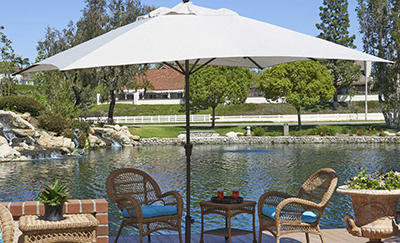 The best hotels, resorts, and public pools have a variety of patio furniture to meet their guests' every need. 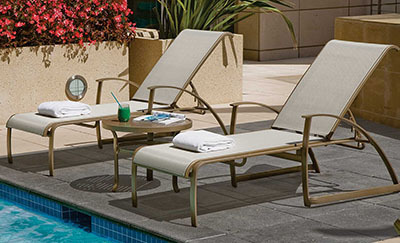 Learn more about commercial pool furniture to maximize your space! 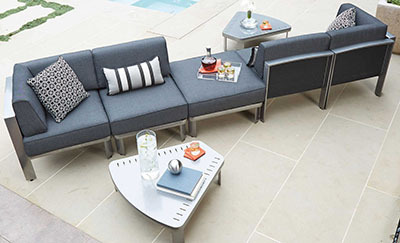 Achieve ultimate relaxation on your patio with a versatile and beautiful chaise lounge! 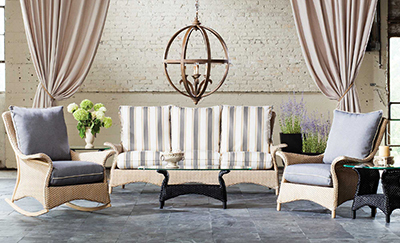 Here are tips and things to consider before choosing the right chaise lounge for you. 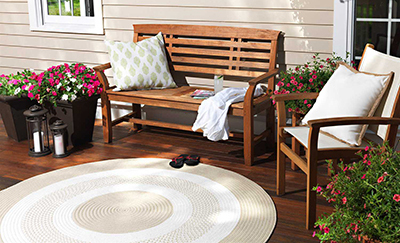 Learn more about the different types of outdoor cushion materials and how to care for them to keep your patio looking fresh year after year! 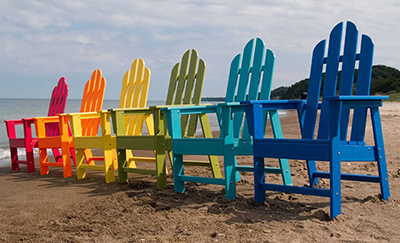 Learn about the different methods of maintenance for your adirondack chairs! Care for and clean your adirondack chairs to keep them looking their best. 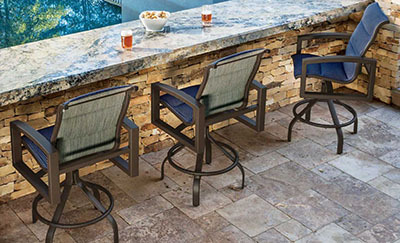 Master the art of choosing the right outdoor bar stool for your bar or bar table with this guide! 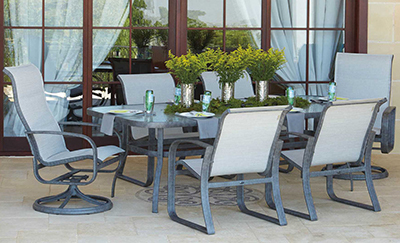 Choosing the right patio furniture for your space is no easy task. 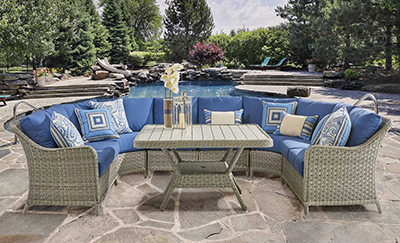 Here are tips on making sure you choose the perfect patio furniture for you! Clean and care for your Sunbrella fabric and it will stay beautiful and functional for years to come. 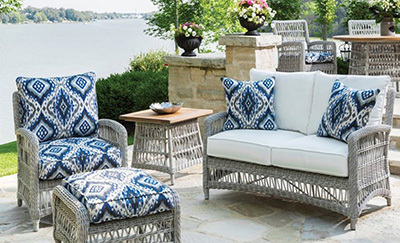 Here are tips to properly care for your outdoor furniture with Sunbrella fabric! 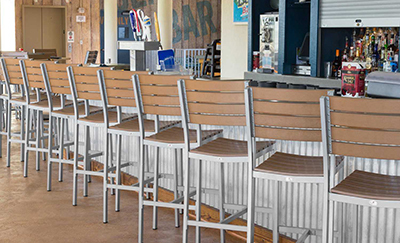 Beautify the outdoor patio of your bar, restaurant, hotel, or entertaining space with commercial furniture fit to serve a crowd. 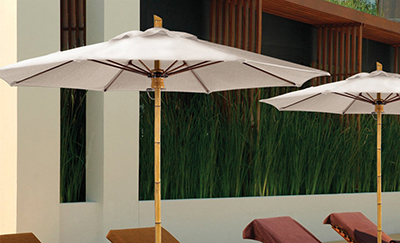 If you're looking for long-lasting, durable outdoor fabric, look no further than Sunbrella. 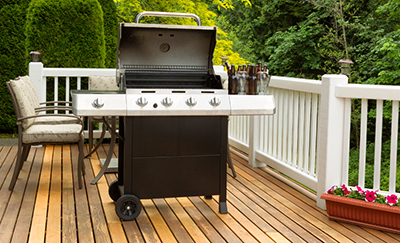 Here is everything you need to know about the specially manufactured outdoor material. Learn more about the standard heights for your outdoor table and chairs so you can create a comfortable and functional space!